Ask most fans of Wonder Woman which is the Amazon Princess's greatest comic book era, and most will give you one of two answers: the original, groundbreaking first volume of Wonder Woman run from 1941-47, by writer William Marston and artist Harry G. Peter, and the reinvention of the character by creator George Perez, who wrote and drew Wonder Woman volume 2 from 1986-1991. 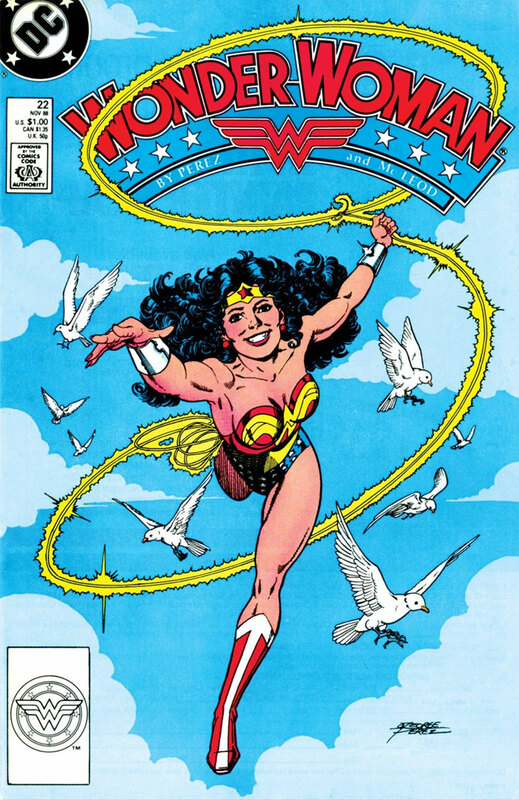 Now all of the groundbreaking George Perez Wonder Woman run is now available to read on DC Universe. Coming off the heels of the universe-shaking 1985 limited series Crisis on Infinite Earths (which Perez illustrated), the entire DC Universe got a major overhaul. Batman and Superman experienced relaunches with a back-to-basics approach, though neither were reinvented from the ground up quite like Wonder Woman. While Frank Miller and John Byrne kept most of the major essentials of Batman and Superman for their respective reboots, Perez, initially with writers Greg Potter and Len Wein, wasn't afraid to jettison parts of Wonder Woman lore that had been around for decades and try something fresh. In this new iteration of the Amazing Amazon, Diana no longer had the secret identity of military officer Diana Prince, choosing to abandon the notion of a secret identity all together. Her longtime love interest Steve Trevor became more of a much older brother figure, and her power set was dialed way up. She could now go toe-to-toe with Superman in a fight, and just like the Man of Steel, she could also fly. Farewell, Invisible Plane! With some portions of the original Marston vision gone, other original elements were amplified by Perez. The Greek mythology from the Marston era was a central aspect of the Perez run, from the very first storyline "Gods and Mortals" (Wonder Woman #1-7) in which Diana arrives in Patriarch's World and must fight the mad god Ares, to its follow-up "Challenge of the Gods", in which Zeus tasks Diana with venturing through the Doom's Doorway beneath her island home. In that story (which ran in issues #10-13 of the series), Perez's intricate artwork and attention to Greco-Roman art and history made for a mythological tale for the ages. 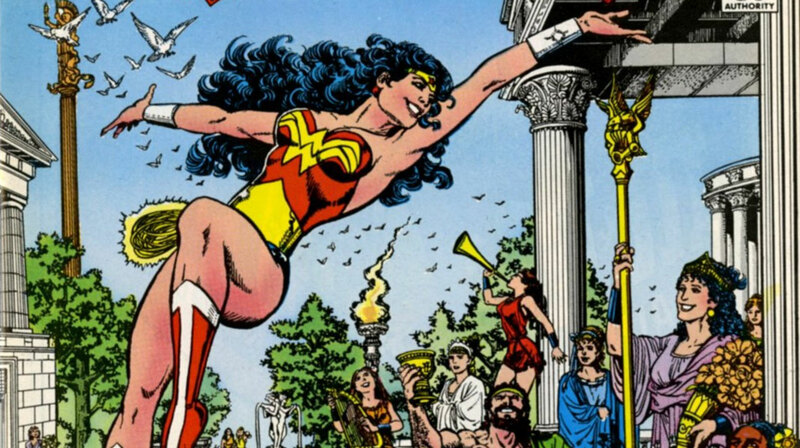 Another aspect of Wonder Woman's history now amplified by Perez was its feminist nature. Diana was no longer a crime-fighter in the traditional sense, but a teacher, and an ambassador from her homeland Themyscira to the outside world. While social politics were often in the subtext of the Marston comics of the '40s, they were now literal text; as Diana became her nation's representative in the outside world. She gave lectures to multitudes and became a media personality, spreading her belief in the equality of all peoples and all races, religions, sexual orientations, and genders. Diana's mother Queen Hippolyta and her fellow Amazons were given much more depth and characterization than ever before, and, finally, many of the Amazons who'd populated the backgrounds of many a Wonder Woman story were given names and personalities. Two important additions to Diana's life were Greek mythology professor Julia Kapatelis and her teenage daughter Vanessa, who became Diana's surrogate family in our world, and her window into America. Best of all, Wonder Woman was an action-adventure series par excellence under Perez's watch, and he spared no time in giving Diana's rogues gallery a fresh coat of paint. The Cheetah, traditionally a villain in the Catwoman mode, became archeologist Barbara Minerva, who used ancient magicks to transform into a feral cat-human hybrid. Her reintroduction to the Wonder Woman mythos (in Wonder Woman #8-9) made her the villain she was always meant to be. And the ancient witch Circe became another iconic adversary for Diana, who reemerged as a major threat in issues #17-19. Other old school villains like the Silver Swan (#15-16) and Doctor Psycho (#54) were given modern upgrades with more motivation and backstory than they'd ever had before. 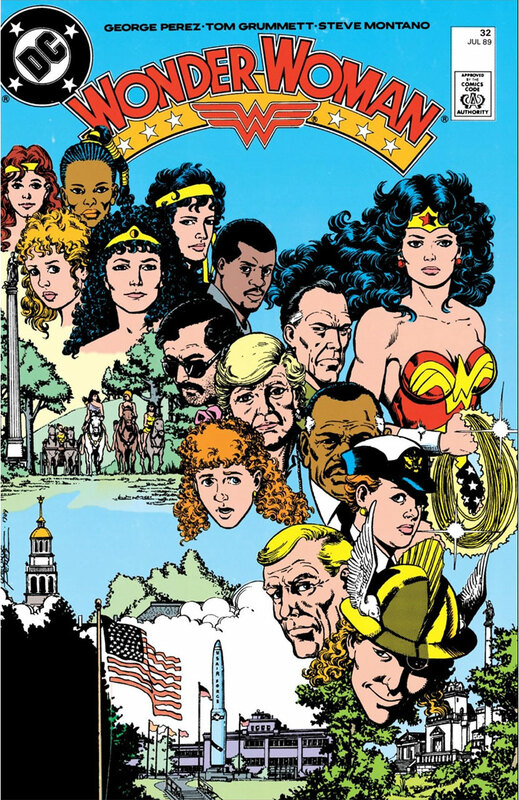 All of this new emphasis on Greek mythology, social politics, and a newly reinvigorated group of villains culminated in Perez' final big storyline for his run on Wonder Woman, the 1991 event War of the Gods, which began and ended in the pages of Wonder Woman. While this story pulled in heroes from all over the DC Universe, it made Diana its central figure. With this storyline, and with 62 issues and five years under his belt, Perez more or less left Wonder Woman behind. But he went out on a high note, in Wonder Woman's most celebrated run of the Modern Age. Despite several changes made to Wonder Woman's mythos in the years since Perez left the title -- the invisible jet, the secret identity, and love interest Steve Trevor all ended up coming back in some form -- many of his contributions to the mythology have affected the character for all time. It was under Perez that Paradise Island was renamed Themyscira, and it was also under his watch that the Amazons became more of a warrior culture, deeply tied to their mythological and historical roots. That's an aspect that has crossed over into both animation, in Justice League and the animated Wonder Woman film, as well as in director Patty Jenkins' 2017 live-action film. When the Mount Rushmore of Wonder Woman is finally built, right alongside William Marston, Lynda Carter, and Gal Gadot will be none other than George Perez. 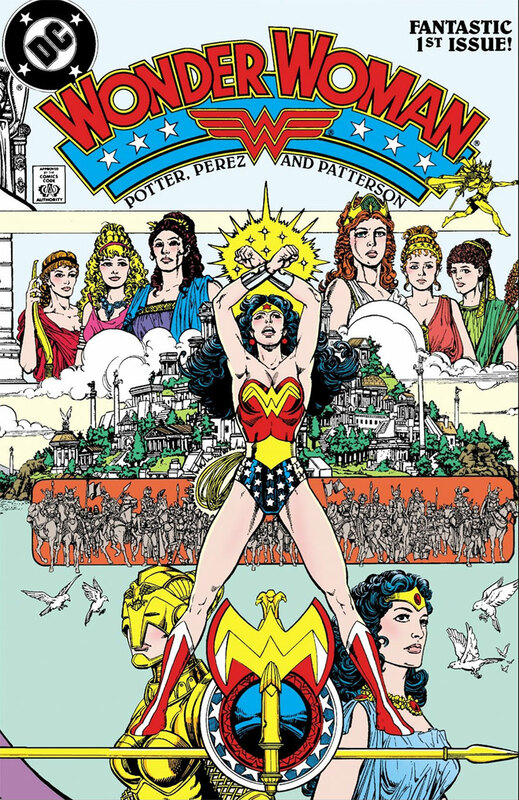 Are you a fan of George Perez's Wonder Woman? Let us know in our Community!